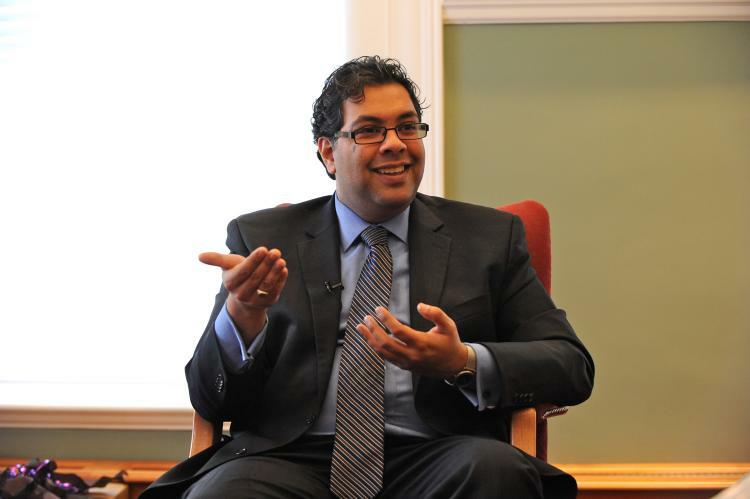 Naheed Nenshi made history recently when he became the first Muslim mayor in Canada, winning his office in what most people think is one of the country’s most conservative cities—Calgary, Alberta. Nenshi sat down with The Epoch Times to talk about his family, the work to come, and what it means to be an immigrant son in the land of Canada. Q: Many say your successful story is not only a tribute to Canada’s multicultural strategy, but also the integration of next-generation Canadians. What do you think? The most interesting part of that for me was that, in fact, I had been in Calgary longer than either of my two rivals, because I grew up in this city. And much of what I am is much of what this city is. I grew up in East Calgary, in a very working-class family. My parents immigrated here from East Africa just before I was born, and I never shied away from that. You know, I can’t walk away from my skin colour or my faith and pretend it doesn’t exist—it’s all part of who I am. But equally, my education, my experiences, my ideas are also all part of who I am. And I think that’s what Calgarians saw; they just saw this crazy mix that made up me. But it’s also part of the crazy mix that makes up Calgary. So I’m excited to live in a city and in a country where that’s possible, because sometimes we take that for granted. 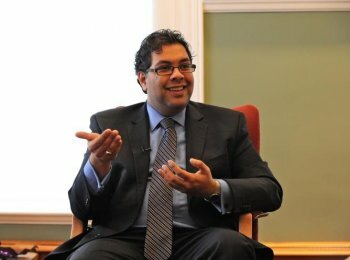 Sometimes we think that because anyone can succeed in Calgary and in Canada that anyone can succeed anywhere, but it’s actually kind of special and I think that the Canadian experiment in multiculturalism and pluralism has worked so very well that sometimes we take it for granted. So I’m really happy to be an example to all those kids who follow me that, really, in this city and in this country you can do and be anything you want. Q: Can you tell us about your family growing up? A: Well, I didn’t have a lot of money growing up, but what I did have was a lot of love and a lot of opportunities. I have one sister and my parents worked very hard as we were growing up to make sure we had good opportunities. My sister and I both went to university. She’s a pharmacist and I was able to do two degrees—one in business and one in public policy. And I think those were the values with which I was raised, and that’s what’s made all the difference in my life. Q: I heard that you were shy at school as a kid. A: It is true, actually. I got over that I think. A: Eventually I just said to myself, “You know, those kids who are outgoing seem to be having a better time of it than me, so I should try this.” I was a pretty quiet kid early in my years, but when I got into my teen years I really tried to become more outgoing, try to get more engaged in my school communities and so on. And I haven’t stopped talking since. Q: Many first-generation immigrants are challenged to overcome characteristics that make it hard to join mainstream society. A: This is an interesting issue, because the challenge we have when we look at communities that are multicultural … and pluralistic is that balance between becoming part of the mainstream or assimilation, on the one hand, and maintaining the strength and power of your own culture on the other hand. And it’s really easy to get yourself tied in knots about “What am I? Am I Muslim first or Canadian first, am I Indian first or Northeast Calgary first?” To me these debates are not very helpful, because I believe that it’s possible to be all of these things. Rip Torn, Matthew McConaughey, Jack Black, and Shirley MacLaine are slated to star in the upcoming dark comedy "Bernie," according to reports on Thursday.